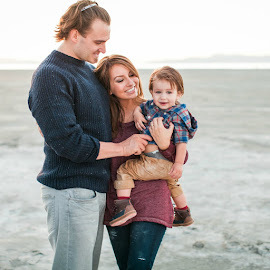 If you were able to read my last post about how to predict your baby's gender, then you know that our cute little family of three will soon become a family of four! This is sooo crazy to me. Suddenly we don't feel like newlyweds with a baby; we are an established family. The idea of expanding our family just feels so exciting, so unreal, and really just so grown up. When we decided to start trying for baby #2, I really thought it would take longer. The timing must have been just right because we got pregnant right away! 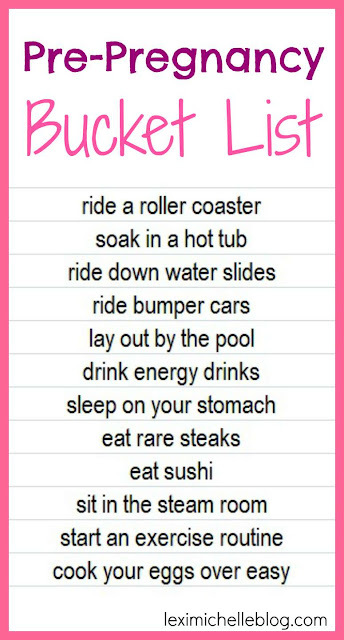 Unfortunately, that made it so that I wasn't really able to complete my pre-pregnancy bucket list since most of the items are on the "don't" list. Disclaimer: While I feel it should be obvious, always consult with your doctor if you are unsure of what is safe/unsafe during pregnancy. I have seen some comments where people say they still did XYZ and it was fine. 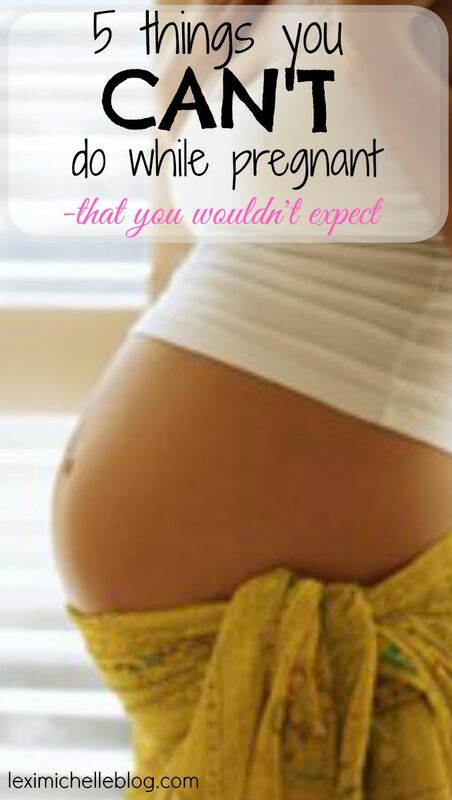 Of course every situation and pregnancy is different. This is just a general list. This means Hot Tubs! Tanning! and Steam Rooms! Honestly I am so beyond bummed about this one. Soaking in a hot tub is one of my favorite things. I vowed to go after David was born, but we don't have a hot tub in our apartment complex and the ones at the gym are kind of gross, soo it looks like I'll have to wait another 9-10 months..
Of course there still are rides you can go on, but roller coasters, large water slides at the water park, and bumper cars are on the "don't" list. Bummer! I literally JUST renewed my season pass at the water park! 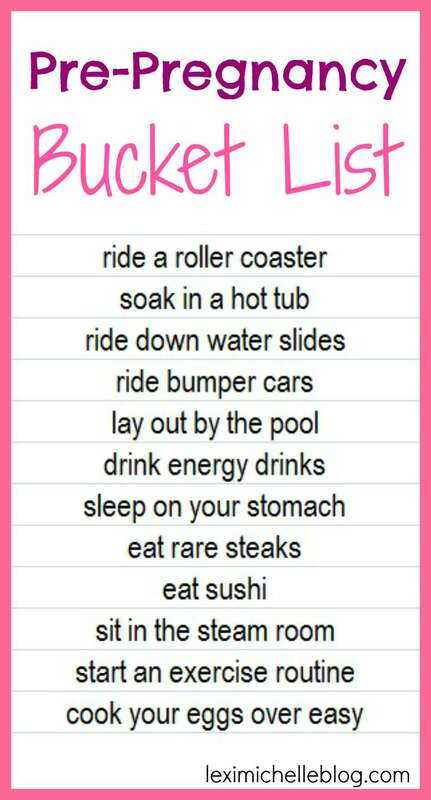 I guess it's kiddie land & wave pools for me..
Caffeine isn't terrible during your pregnancy as long as you aren't going overboard. I personally try to stay away from sodas and energy drinks. But really, not only do these drinks have caffeine, but they're typically pretty high in calories & I don't want to gain any more weight than necessary this time around. This means raw fish (which is fine with me), under cooked meat & under cooked/ over easy eggs. I'm not a huge rare meat fan, so this one is the easiest rule to follow, but really, I'm just sick of having so many rules!